Life on the farm or ranch is busy enough. You need products and services that solve your real problems. When you work with me, you’ll find that I work hard to understand your business and find out what problems actually need to be solved. Only then do we brainstorm together to determine exactly which services you need. I will never offer you services that you don’t need, and you’ll always be able to pick and choose what sounds best to you and fits your budget. Website & email hosting, a content management system (so you can edit your website), website training, website maintenance & support, logo design & other print collateral. I offer fully custom agricultural & equestrian website solutions tailored around you and your clients, as well as lower cost semi-custom options for those just starting out or who need to slowly phase in to their total solution. Fully responsive and mobile optimized and when it’s done, you receive personalized training from me so you can update & maintain your site at your own convenience, if you choose. Your brand strategy begins with you. It’s not just a pretty logo. Telling your story, connecting with the clients you want to work with and help the most, and creating an authentic brand that speaks to the quality of your business is what will set you apart from the competition. Equine & Farm/Ranch Logos, business cards and print collateral for all of your advertising & promotional needs. From glorious full page color advertisements, to brochures, business cards, post cards and other print items, I also offer affordable printing services for a one-stop shopping experience. Whether you just need the basic updates to protect your site, or you need content updates on a regular basis so that you can spend your valuable time working your business, I offer four packages to choose from to fit your needs and your budget. Whether you’re trying to learn your way around your WordPress website, you need more help with leveraging social media, or you just want to talk about the best strategies and tactics for you and your business, I can provide you with private coaching to get you to that next level in your business. Professional images for your brand, capturing the heart and soul of your business – YOU and what you do – will help you to outshine the rest. 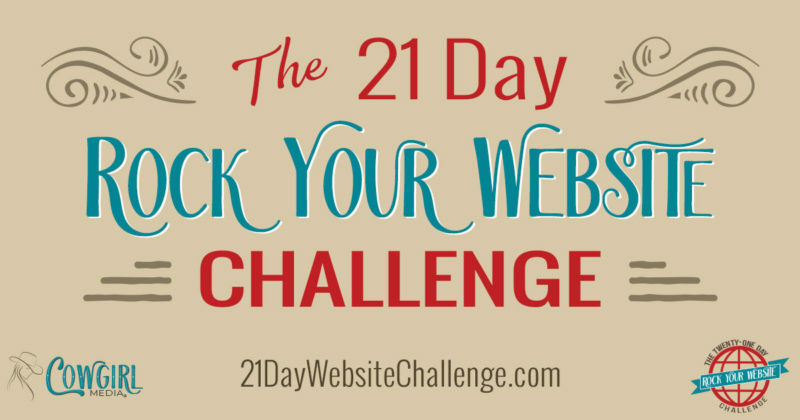 If you’re a business owner struggling to learn more about how to bring your website to the next level, this challenge is for you! I walk you through, step by step, 21 days of actionable tasks that you can complete to leverage the true power of your #1 marketing tool! Take the FREE Challenge now! When it came time to redesign our website, I had high expectations for the type of website we wanted to create. I was very pleased with the work done by Cowgirl Media (Theresa Sheridan Designs). Theresa worked very hard to create the website I had envisioned. We were expecting a modern, professional, and mobile friendly design and Theresa delivered. I could not be happier, thanks again Theresa!